Multiple Sclerosis (MS) is an autoimmune disorder in which the immune system of your own body attacks the nerves and especially their myelin sheaths. Myelin damage disrupts communication between nerve cells. Thus functions controlled by nerves could be disabled. As the nervous system is controlling almost all functions of the human body, Multiple Sclerosis may manifest itself through various symptoms. That’s why diagnosing MS is difficult and sometimes takes years. It is an unpredictable, often disabling disease and primarily occurs in young adults between the ages of 20 and 40. MS is twice as common in women as it is in men. The cause of Multiple Sclerosis is not known but exogenous and endogenous predisposing factors may play a role. Although there is no cure for Multiple Sclerosis treatments can help speed recovery from attacks, modify the course of the disease and manage symptoms. New Australian study showed again the link between too less sunlight / Vit D Deficiency and Multiple Sclerosis. But do we have too less sunlight in the UAE? Since 1974 (Goldberg) researchers are studying the link between too less sunlight and Multiple Sclerosis. Studies could show that smoking and passive smoking are risk factor to develop MS. Moreover, patients with MS have a worse prognosis if they smoke compared to non-smoking patients. Furthermore MS drugs are not as effective if patients are smoking. Bottom line: Stop Smoking! Multiple Sclerosis is often characterized by a relapsing-remitting course, with new symptoms that develop over days or weeks and usually improve partially or completely, followed by a quiet period that can last months or even years. Visual blurring, Vision loss, Double vision, pain behind the eye (optic neuritis) The risk to develop MS in the next 15 years is 50%! 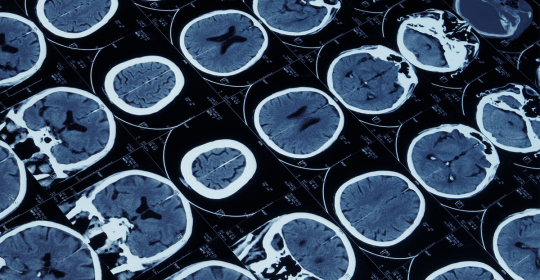 Diagnosing early MS stages can be difficult. MS symptoms can be presented by a variety of other diseases as well. A comprehensive neurological examination should be done in order to rule out other conditions that might produce similar signs and symptoms. The examination includes blood tests, a MRI of the brain and spine and a spinal tap (lumbar puncture) in which a small sample of fluid is removed from the spinal canal for laboratory analysis. This sample can show abnormalities in white blood cells or antibodies that are associated with MS. Moreover, the Neurologist will check motor strength and sensation in all limbs. The treatment of MS is very important even though Multiple Sclerosis is a chronic, potentially debilitating disease with no cure. The treatment focusses on reducing the frequency of relapses and speeding recovery from them. The aim is a slower disease progression and the management of the symptoms. It should be coordinated in consultation with a Neurologist specialized in MS. There are special medications for the treatment of acute attacks which reduce nerve inflammation. Other medications can lower the relapse rate and reduce the rate of formation of new lesions. Just recently new drugs have been approved for the treatment of MS. Besides the necessity to apply the appropriate medication in order to alleviate symptoms like palsies, pains, vision disorders, blindness and other neurological symptoms, there are also physiotherapy and other therapeutic measures that can be helpful. However, some patients have such mild symptoms that no treatment is necessary. In order to relief the signs and symptoms of Multiple Sclerosis the patient should try to get plenty of rest and relaxation. Meditation and or deep breathing may help. Moreover, regular exercises can help improve strength, muscle tone, balance and coordination. Swimming, walking, stretching, low-impact aerobics, stationary bicycling, yoga and tai chi are mild to moderate exercise recommended for MS. Exercises also relieve stress which may trigger or worsen signs and symptoms. A balanced diet low in saturated fat but high in omega-3 fatty acids, such as those found in olive and fish oils, may also be beneficial. Studies also suggest that vitamin D may have potential benefit for MS.
Young woman with debilitating disease launches forum to help fellow patients. Supported by the German Neuroscience Center the twenty-eight-year-old multiple sclerosis patient Maha Abbas is launching an MS Talks Forum at Dubai’s Urban Bistro restaurant this month end to raise awareness about the disease XPRESS, October 14, 2015, Sharmila Dhal, Chief Reporter Dubai: Maha Abbas, 28, is a multiple sclerosis ( MS) patient with a difference.